GAC 800 may be added to your pours to prevent cracking and crazing - a common problem with thick paint layers. 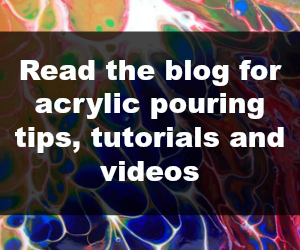 Floetrol is a popular paint additive for all acrylic paints and can be used in place of, or in addition to the other pouring mediums. Some painters say they get the best cells when adding Floetrol.